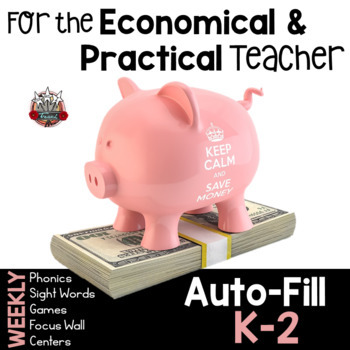 This teacher tool kit allows you to customize your weekly sight words, games, phonics, centers, and word cards each week. You type your words once and the document auto-fills for you! This enables you to keep your activities and practice sheets consistent which will help with student independence. 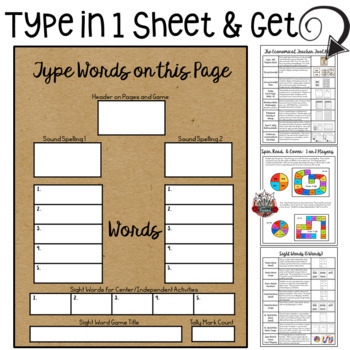 You no longer need to purchase separate units for each phonics focus, sight word game, and practice sheets. 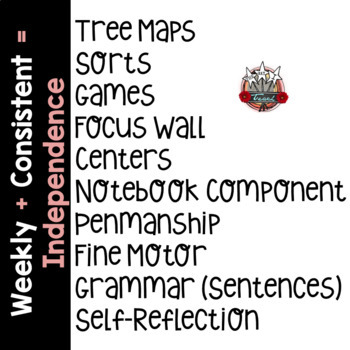 This resource will help you save time by not searching for supplemental material to go with weekly skills. This resource was made to help simplify your week and save you money so you can focus on other things you need to teach. This unit is made for K-2 so the font is slightly larger. The document will support up to 7 letter words in most areas. 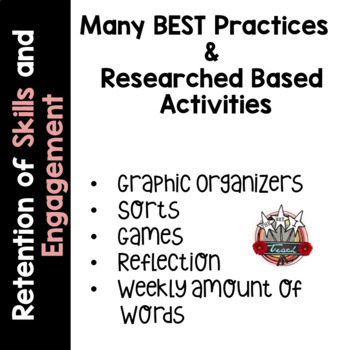 I will be creating a resource similar to this one to accomodate longer words and smaller fonts as well as an alphabet resource for larger fonts. Below are more auto-fill resources you can customize with your words!